Ocarina of Time was one of the most highly anticipated and critically acclaimed games of its time, which welcomed commercial success worldwide. It is my own long-standing favorite Zelda game, nay, my favorite game in the world. I owe so many wonderful memories to my days spent adventuring through Hyrule as the Hero of Time. And every time I have played the game over again, I have gained new insight into its characters. For me, one thing places this game a cut above the rest, and that is its storyline. And within that storyline, there is our first visual introduction to Ganondorf — the man behind the monster that is Ganon. 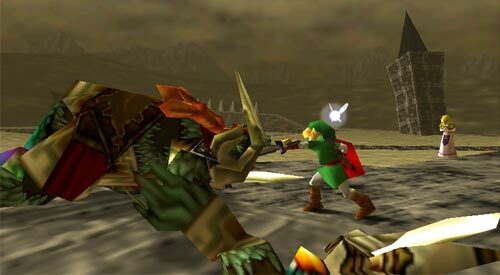 Before Ocarina of Time was released, we had Ganon, the demonic, pig-like archenemy of Link. His main aim was to kidnap Princess Zelda, lay claim to the Triforce and take control of the world! And hey, I can’t argue that it’s not a great plot idea because, lets face it, it’s been extremely successful. 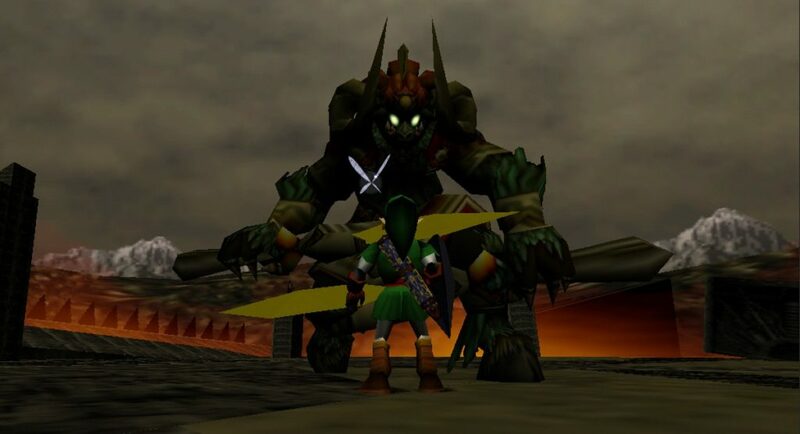 But I will argue that when faced with Ganondorf, the humanoid version of this great enemy, the story really clicks! 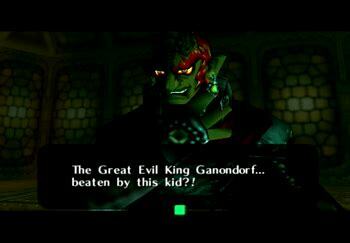 Ganondorf is a villain that I just can’t get enough of. He is everything that a main antagonist should be: powerful yet power-hungry, dark and devious, careless of boundaries, and perhaps a bit mad. He even looks the part, with his flaming red hair and sneering expression. But most importantly, he has a backstory! Honestly, I think his incarnation in Ocarina of Time portrays him perfectly. I loved that I was given some background on where Ganondorf came from in Ocarina of Time. Up until this point, in my opinion, Ganon had just existed. I feel that he was accepted as just the big bad guy because Nintendo told us this was so. But then, suddenly with the knowledge that Ganondorf was in fact an anomaly — a Gerudo male, with such men only born once every one hundred years, and actually destined to be a King — I wanted to find out more. This situation made Ganondorf special. Maybe there was something more to him and a reasoning beyond a mad hunger for power that drove him, just like it seemed to do in Ganon’s case for previous games. When I look back, I realize that Ganondorf had patience and a cunning that Ganon never could have matched without first learning them as the former. He swore fealty to the King of Hyrule and then let things play out while he waited for Link to do his dirty work for him. When Link opened the door to the Sacred Realm, Ganondorf was able to take hold of the Triforce of Power to invade the kingdom. This was more than just a regular plan to seize his prize by force of strength or an army, this was the strategy of a mastermind and something that we hadn’t seen Ganon do in other existing games. I don’t actually think that he could have been such a successful tactician in beast form alone, and I think this is down to my presumption that, being raised as a Gerudo, he had to be highly trained in stealth and strategy — training that he wouldn’t have received as Ganon. By the time that I made it to Ganon’s Castle and entered into battle with him, I had a full appreciation for Ganondorf’s character. The small fact that he played the pipe organ resounded with me; Ganondorf was perhaps quite a refined and even a cultural man in all of his manipulation and deceitfulness. It intrigued me to know what other skills or traits he might have. I even wondered what his life was like before he set out to conquer Hyrule. His speech alone was well executed and enough to make me nervous about the battle to come. But then, when it seemed that I had felled him at last, I witnessed the flaws of his arrogance and this almost smashed my impression of him as a brilliant strategist to pieces. His disbelief that Link could have beaten him left me astounded. Surely he had thought of every outcome of this battle and one of them would have been his defeat? Perhaps, in fact he had, when he turned to what I believe was his last resort: his transformation into Ganon. Now, according to the timeline, this would be the first appearance of Ganon in his beast form. But of course, for those in the know, this was not the first time gamers had actually seen him in such an incarnation. As such, before the timeline was in place, I thought that Ganondorf may have already been aware of his beast form and felt that it was beneath him. But in his hour of defeat and madness, he was finally willing to use the Triforce of Power to become the honorless and monstrous Ganon. As a kid, this battle terrified me. But as an adult, it gave me a whole new appreciation for Ganon as he appeared in Ocarina of Time. I found him intimidating, and when I thought about it, just as clever and formidable as he was in humanoid form. His determination to control the Triforce had followed through from Ganondorf to Ganon, which could mean only one thing: the beast retained the mind of the man. 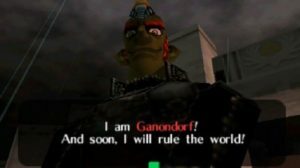 And this is where the beauty of Ganondorf as a villain can really be appreciated: without his humanoid experiences in Ocarina of Time, Ganon could not have hoped to orchestrate his evil plans in the eras to come of the Downfall Timeline, nor would he be influenced to act as he did in the future of the Child and Adult Timelines. Without Ganondorf, Ganon would be little more than a power-hungry and deranged monstrosity. We would probably still have no real understanding of the motives that drove him in future eras. In fact, we probably wouldn’t be witness to his simple reason for invading Hyrule in the first place, as told in The Wind Waker — but that’s a discussion for another time. 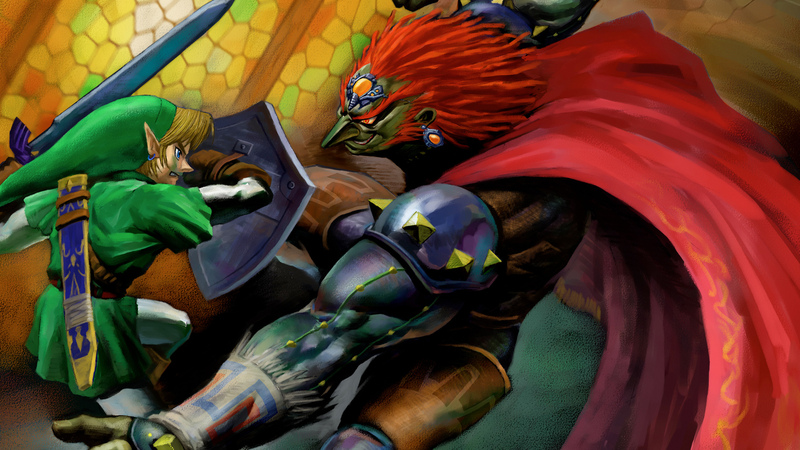 Thanks to Ganondorf in Ocarina of Time, Ganon is more than a typical antagonist. I believe that he is the best villain in the Zelda series and the best villain in video game history. Judy Calder is an Original Content Editor at Zelda Dungeon. She enjoys long talks about the Official Zelda Timeline and anything to to with Ocarina of Time . Follow her on Twitter.